wondering what caught the attention of the man standing so attentively on the shore. It is then you notice that it is an iron man, silently watching out over the sea. There is something deep-rooted which tugs at you as you watch these observers, some standing on the sand, others further out to sea. You wonder what they are looking for, what they might be thinking. You then realise you are standing staring at the horizon in the exact way the iron man is. These ironmen have a very different feel to those that were scattered briefly across the London skyline in 2007. Event Horizon, 31 iron men cast from Gormley’s own body and placed across city rooftops, coincided with his major exhibition Blind Light at the Hayward that summer. I was working at Somerset House at the time, and every morning I would see the statues peering out over the city looking at me. They were watchers. Out of place moments of silence in the incessant rush of the city; a figure where it did not belong. But the men at Crosby Beach belong here. They all look out in the same direction, feeling the salt winds rushing across the Irish sea and the daily rise and fall of the tide. 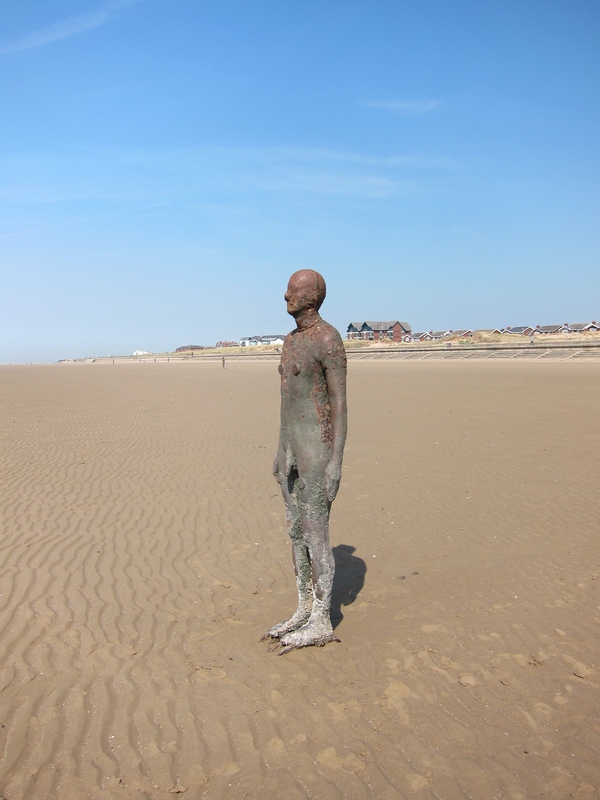 Installed in 2005 and originally only meant as a temporary exhibition, the 100 ironmen of Crosby are becoming of-place. They have begun to gather local knowledge – the flow of the tidal waters across the sands, the ravages of the weather, the changing seasons. A constant slow evolution echoing our own nature. Crosby Beach itself is rapidly changing by nature; the flat stretch of sands see tides race in at a ferocious pace. You will never get the same view of the ironmen twice. The few people there when I visited each interacted with the ironmen differently. Some pausing to contemplate, others taking an obligatory selfie then walking on. This is perhaps the greatest benefit of public art: each of us can communicate with the work from within our own nature; it is not about comprehension of someone else’s ideology. Gormley himself described the work as “a response to the individual and universal sentiments associated with emigration, sadness at leaving, but the hope of a new future in another place“. To me it spoke of the place man has within nature, as part of nature, our constantly evolving cycle through existence. Sometimes we must stand alone at the horizon to understand ourselves. I look up from my notes and can almost feel myself holding my breath as the waves begin take the ironmen ahead of me under the surface. The tide is coming in, it is time for me to move. This entry was posted in 04.1 Artists references, 04.2 Exhibitions and tagged Another Place, Anthony Gormley on 24 April,2015 by antalbot. In the endless cycle of thinking and making, my making work continues to focus on looking at the haunted place as inspiration for a bunch of competition quilts I have on the go. I made the decision to try to make these as resolved pieces based on my MA project proposal, partly to further my research but also to try to reconnect with my practice after going down a dark rabbit hole over the last two terms. so! What next to do with all of these lovely bits of fabric? Placelessness, then could be said to an inability to feel connected. Your locality, your local knowledge as it were, so alienated from the dominant narrative that it becomes meaningless. In his introductory book on place, Tim Cresswell  quotes the geographer Edward Relph who uses the language of authenticity to describe this connection with place. This brought me back to question more deeply the work of Lucy Orta with the Genius Loci / spirits of place that were created to enshrine the story of a river, through sculptural form. What can be said of authenticity when deliberately enshrining the past through such an intervention? I have never really liked the direct personification of spirits (whether you think go spirits as an essence, a ghost or whatever else) as that’s not how I personally choose to interpret them. Nor do I think I want to make work specifically for a precise location. When I started this proposal I had wanted to create site-specific work and initially understood it as being quite literal – you take a place and make some work inspired by that place and for that place. I now am looking towards a more conceptual view of site-specific: work speaking of a place, using a connection from that place – but across the spectrum of spatial and temporal, literal and virtual. I will need to understand more on how this aligns with current thinking on site specific art. Anyway, I think I digressed a little – back to what I am making. So the plan, is to work with my own understanding of the Genuis Loci and a sense of place, which I would capture as: We feel the essence of place as an echo of the earth, and we become the medium of the storytelling. My first resolved piece is now done and waiting to be framed: Genius Loci I (Star field); here is a sneaky preview of the detail. This entry was posted in 01 Textile work, 04 Research, 04.3 Materials and process and tagged local, natural dyeing, place on 22 April,2015 by antalbot. A lovely day in the spring sushine down in Walton-on-Thames to visit the Basketmakers’ Association exhibition Basketry Identity at the Riverhouse gallery. The Basketmakers Association are hosting this exhibition of members work. The pieces on display are a response to the maker’s idea about their ‘Basketry Identity’. The exhibition will show the wide range of materials and techniques used in the creation of both functional and artistic basketry. 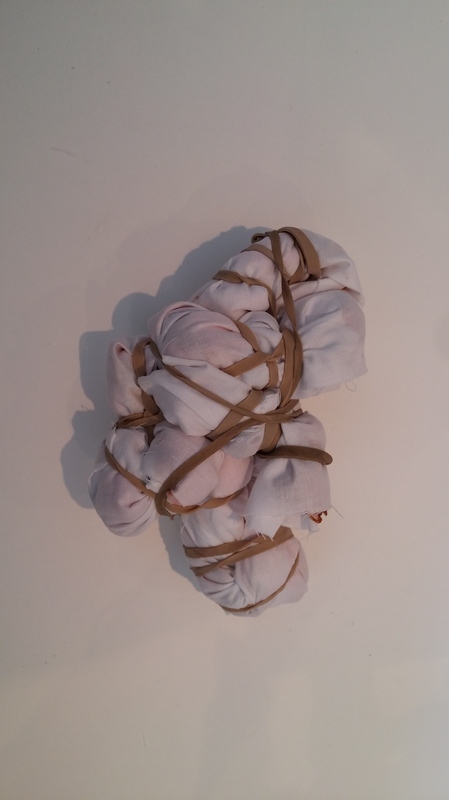 There will be an installation and various sculptural forms. The whole will reflect the great skill and diversity of basketmaking today. The exhibits were indeed a range of the great diversity of basketmaking, from “traditional” willow, hazel, cane baskets to things which looked like baskets made from other materials, to basketry techniques applied to create pure contemporary artworks. Very much recommended if you are in the area. Some highlights in the slideshow! My photos (and my attention) were drawn to the more contemporary works and particularly those using paper. What I noticed from the other works, is how much reference to place there is in the work of the basketmakers both explicitly and implicitly. Makers mentioned where the fibre was grown (and occasionally who by), where the basketry technique came from or how experiences of a place inspired a particular work. After the exhibition, since it was so lovely out I took myself onto the Thames Path which runs behind the gallery. I walked the section up from the Walton Bridge at Cowey Sale all the way up to Sudbury Lock. My new psychogeographic thinking hat got be wondering some interesting thoughts on the way – most noticeably how many different identities a place can have. Each of us creates our own place, even as we stand out on the same road looking at the same river. This picture shows what I mean – I’ve never been to Walton-on-Thames before, and was slightly surprised to find that barely 30mins from my flat is picture perfect riverside England. I know nothing about the area, so all I could do is overlay my own narratives which started to surface as you try to interpret the place you find yourself in. Here, the Thames is a completely different river to the waters which run through my suburb 24miles downstream. This riverside speaks quietly of old England – of straw hats, cricket and tea on the lawn. You can imagine the long winding journey through green rolling hillsides that the waters have taken, from the elderly ash tree under which old Father Thames sits smoking a pipe. The walk so much reminds me of my childhood. I see ghosts of myself sat on a river bank somewhere in Northumberland, dad knee deep in the water with a brightly coloured fly, barely seen, whipping in and out of the shadows. This was my place – and I could see its echo imprinted on the sight of a totally different town in a totally different geography, with people and stories I have never met. Returning home, a new story emerges: here the Tideway is a different creature altogether, one made of salt, steam and blood. The lower Thames’ dark and murky brackish waters have greased the wheels of industry since the days the Romans first settled on Ludgate Hill. I am still looking for my place here. 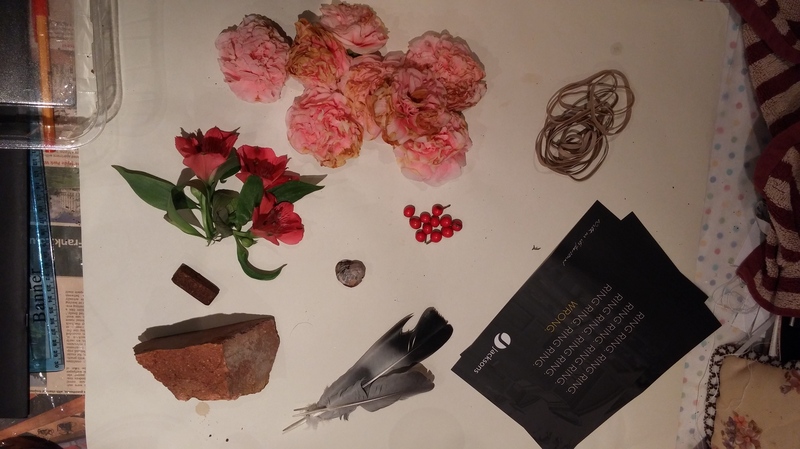 This entry was posted in 04.2 Exhibitions and tagged basketry, psychogeography, riverhouse, thames path on 15 April,2015 by antalbot. When is a duality not a duality at all? Why do we so often see a barrier between things which are in fact the same? “The edge is the division. What is known is always from the past. Through knowledge the new is a reworking of the old. The sum total of knowledge is culture. Culture is the veil through which we describe nature. The process of nature continues despite our analysis. Our analysis is part of the process of nature. whether or not they are destructive. between ‘nature’ and ‘culture’, is an illusion. ‘Nature’ and ‘culture’ are the same thing. So I return to my initial question – why do we so quickly split ideas into black and white, only to ignore the wealth of shadows within? Why do we see ourselves as something separate when we are not? I have wondered what process creates the illusion of distinction, and from what viewpoint must we be standing in order to see beyond the pieces and glimpse the whole. Chris Durey talks more about dualities on his website, in particular around the concept of wave-particle duality, such as in Wave Particle from an exhibition in Norway in 2014. As one of the few artists who can attest to having had a career in quantum mechanics, this got me thinking about how knowledge and thought drive separations of ideas. As a first-order statement, light is indeed composed of particles or waves depending on how the viewer ‘sees it’ through their active intervention in the system. But this duality, when you look beneath into the beauty of the mathematics, is not really a duality at all. Light is particle-like and wave-like at the same time. These properties co-exist but cannot be distinguished as either one or the other – until an observer looks and tries to catch the cloud. This is also true of any other fundamental particle which exists in the universe. With my physics hat on, the language we use is of wave functions, of decoherence, quantisation and localisation – all matter is reduced to pure mathematical probabilities that we will find something (such as a particle) in any given place and time. This language (that of quantum field theory) removes all paradox from an apparent duality, but is highly dependent on understanding very specific knowledge. Does this also stand true for other dualities? Nature – culture, mind – body, inside – outside….are these all paradoxical only when we do not have the knowledge and therefore the language, to describe how these are just states of one whole system? I had been mulling over the inside / outside question while trying to finish off the basket I made at West Dean. Another mathematical paradox came to mind…. ….which was swiftly followed by a connection with the beautiful drawings of M C Escher. These have been in my mind around the ideas around place. These drawings capture impossible places – where any place is any other place. No start, no end, no distinctions – no-place? This entry was posted in 04 Research, 04.1 Artists references and tagged duality, paradox, physics on 13 April,2015 by antalbot.